Today I'm happy and inexplicably proud. Are people allowed to be proud of themselves? Or is it considered show-off? A couple weeks ago I was interviewed by my favourite portuguese magazine. I didn't know what to expect from it but today at 7am I get tagged on a post from my cousin, who works at a newsagent and was stacking the shelves with the new arrivals. It was me on the cover. 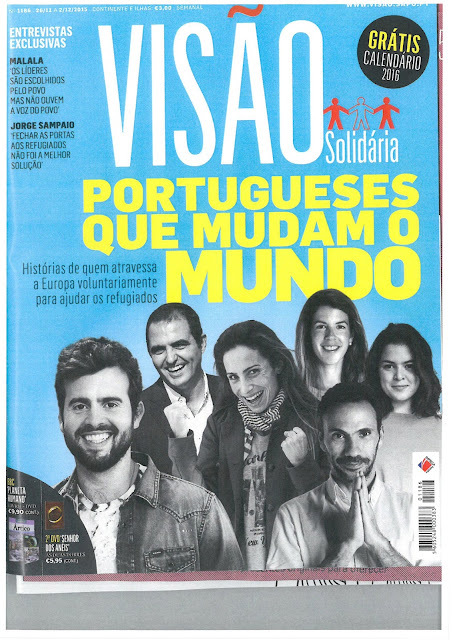 The tagline reads "Portuguese people that are changing the world". It makes proud not because I am on the cover of the magazine but because someone is actually comparing me with people whom I admire and do work that inspires me everyday! I'm... I'm... speechless.